When American Horror Story, the Museum of Modern Art and Napoleon Dynamite pay homage to an invention, you know it's made a cultural impact in a big way. Tupperware has a staying power that most plastic products don’t. So far, it has evaded the anti-plastics movement, and it seems to survive most kitchen clean-outs. Its annual sales exceed $2 billion. 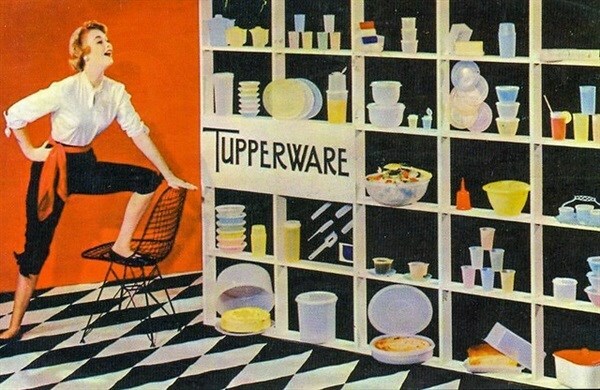 I’ve taught the story of Tupperware products in a course on the American 1950s. I’m also teaching it in the polymers unit of an interdisciplinary course in materials science engineering. Tupperware products’ ability to bridge the humanities and STEM fields speaks to their cultural and utilitarian value – evidence of how a compelling, innovative design can have mass appeal. Our relationships with plastics can be as richly diverse as the shapes and colours these malleable materials can assume. Technically speaking, plastics are pliable, ductile and flexible synthetic materials that are easily shaped through heat and other applications of force. The word “plastic” also has an aesthetic meaning: A plastic actor is more versatile before the camera, and a medium such as stone can become plastic in an artist’s hands. Literary and cultural critic Roland Barthes saw modern plastics as a form of alchemy – a way to transmute matter in seemingly infinite ways. “More than a substance,” he wrote in Mythologies, “plastic is the very idea of its infinite transformation". Barthes imagined polystyrene, polyvinyl and polyethylene as Greek shepherds in a world of gods and monsters – magical materials alive with possibility. Earl Tupper, inventor of Tupperware products, saw such promise in polyethylene – the plastic he used to craft his inventions – that he called it “Poly-T: Material of the Future", as Alison J. Clarke notes in her book Tupperware: The Promise of Plastic in 1950s America. After failing at his first business as a tree surgeon, Tupper decided to try his hand at plastics production. In 1937, he got a gig as a sample maker at a Dupont-affiliated plastics factory. At the time, DuPont employed amateur sample makers to further research and development. They could even take scrap materials home with them to work on new prototypes – a mutually beneficial arrangement, Clarke points out. So when working with injection molding machines at the factory failed to yield the plastic Tupper envisioned, he turned to his home kitchen and tried the stovetop. The polyethylene that Tupper brought home from the factory was an industrial waste product – opaque, greasy, clumpy black slag. It was hardly the stuff that marketing dreams are made of. Tupper sought to overcome such material limitations by producing a plastic more durable than molded transparent styrene; he wanted to create something that could flex without cracking or snapping. He and his son boiled the scrap samples at home, eventually finding the right balance of pressure and temperature so the polyethylene flowed into the desired shapes and thickness. Tupper also fashioned a system for dyeing his containers in pastel colours. Eventually, Tupper was able to create what author Bob Kealing referred to as “a polished, waxy, upscale plastic". But he still needed the right lid – something that could both preserve food and prevent spills. Inspired by paint cans, Tupper fashioned a flexible polyethylene lid that, when snapped onto the container, created an airtight seal. As Kealing points out, this worked much better than tin foil or a shower cap – materials many American women had relied on to cover their leftovers. In 1947, Tupper patented the nonsnap lid for his first plastic container. Legendary saleswoman Brownie Wise – the first woman to appear on the cover of Business Week – would demonstrate how to “burp” the container by lifting part of the patented lid before sealing it. Her direct sales acumen made Tupper’s product come alive. 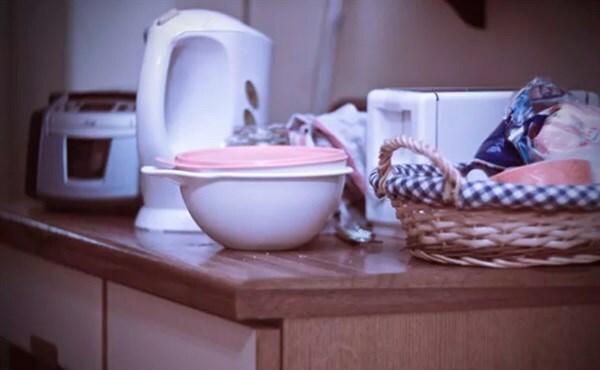 At her iconic “Tupperware parties", she would toss liquid-filled Wonder Bowls across American living rooms, astonishing housewives with the airtight seal that prevented spills. In the 1972 film “Design Q&A", designer Ray Eames insists that design is fundamentally “a plan for arranging elements to accomplish a particular purpose,” although superior designs “may later be judged as art". Today, Tupper’s polyethylene pitcher and creamer reside in the Museum of Modern Art, along with his tumblers, bowls and ingenious popsicle molds, called “Ice Tups". Curators have included Tupperware products in exhibitions on mid-century design and most recently in the 2011 exhibit “What was Good Design? MoMA’s Message, 1944-1956”. As Clarke explains, Tupper’s products embodied modernism’s “ideal of a tasteful, restrained and mass-produced artifact, free of inauthentic decoration and gratuitous ornament". With their clean lines and elegant curves, they fused form and function. 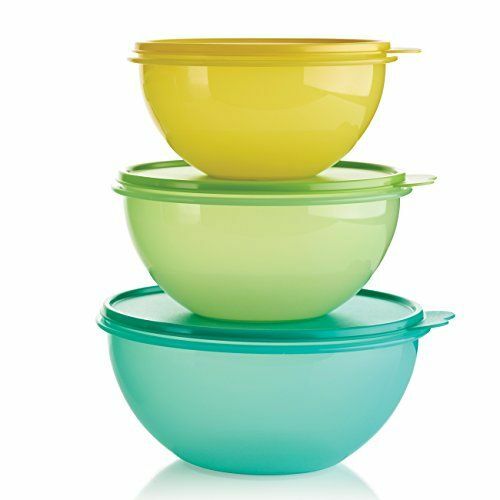 The plastic used in Tupperware products is top-shelf – aesthetically pleasing, meaningful and durable. In today’s Tupperware products, we also see a refined design. Take the Eco Water Bottle. Its sleek curves – together with its softly translucent pink, blue and turquoise variations – conjure glass. The concave center looks pretty and fits the hand. Tupperware products continue to play a role in our cultural conscious. A friend who lent me her Ice Tups told me that she’ll always associate it with early memories of her mother. In one Seinfeld episode, Kramer frantically tries to recover his Tupperware container that he’d loaned to someone, while Jimmy of American Horror Story causes mayhem at a Tupperware Party. Meanwhile, the synthwave band Tupper Ware Remix Party spins 80s-inspired dance tracks. Non-biodegradable plastic like Tupperware containers will be part of Earth’s future for centuries. The Plastics Free July initiative has advocated against single-use plastics, like bags and straws. Luckily, Tupperware products are reusable, and the stories we tell about them will continue to reinvent our relationships with a material we won’t – and can’t – let go of.